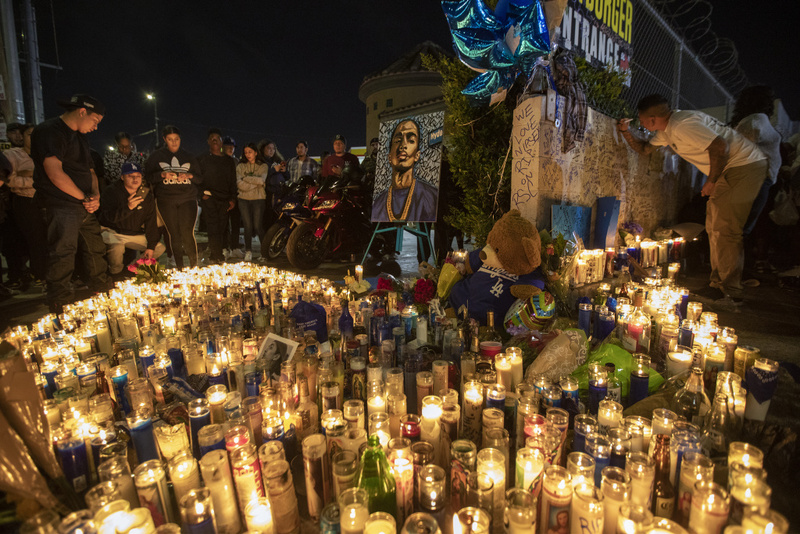 People mourn for rapper Nipsey Hussle on April 1, 2019 in Los Angeles, California. There has been debate about this was gang-related violence or a personal dispute, which the authorities continue to investigate. We take a look at how the state of gang violence in South LA has evolved over several years and efforts being made to reduce such violence. We reached out to the LAPD. They did not get back to us in time for this segment.